Julia relies on DxO software to create the best possible base image before leveraging the plugin feature to switch between DxO OpticsPro, DxO FilmPack, Adobe Photoshop Lightroom and Adobe Photoshop. 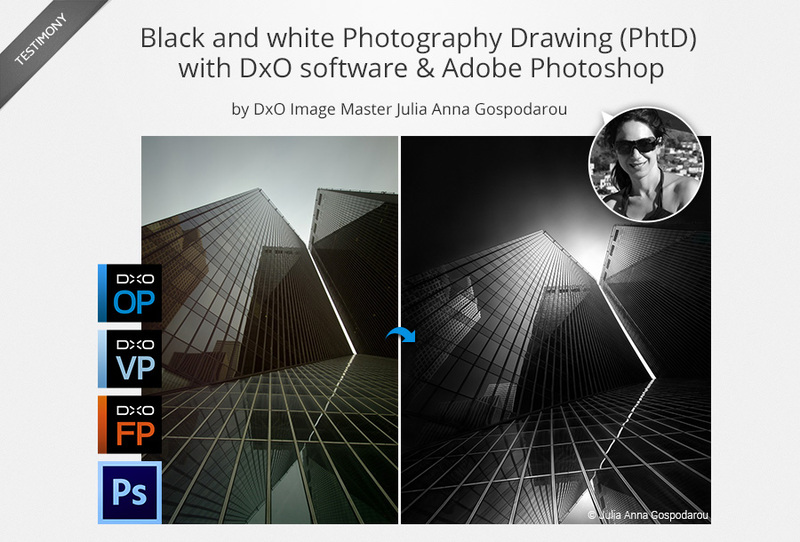 In this tutorial, you’ll see how she uses DxO software in combination with Adobe Photoshop Lightroom and Adobe Photoshop to create Photography Drawings (PhtD), a processing method that applies the principles of classical drawing in black pencil to black and white photography. This image is called Equivalents I, and it is part of an ongoing series of black and white fine art architectural images. What I aim to create in a black and white fine art image is not to show reality but to present my vision of this reality by transforming the photograph from the capture to the final image so it represents my idea. This is why I call my photography art “(en)Visionography”. I consider this a new type of photography, the photography of the digital age where the photographer relies more on his vision and on the processing software used to create fine art than in the film era when the photographer relied much more on the scene and the available light when shooting. I start my workflow in Adobe Photoshop Lightroom for some minor basic adjustments, such as adding keywords, cleaning dust spots and other simple retouching tweaks. When I’m finished, I then export the file to DxO OpticsPro. Next, open the RAW file in DxO OpticsPro and let the program apply the automatic adjustments that will enhance the image based on your camera and lens. 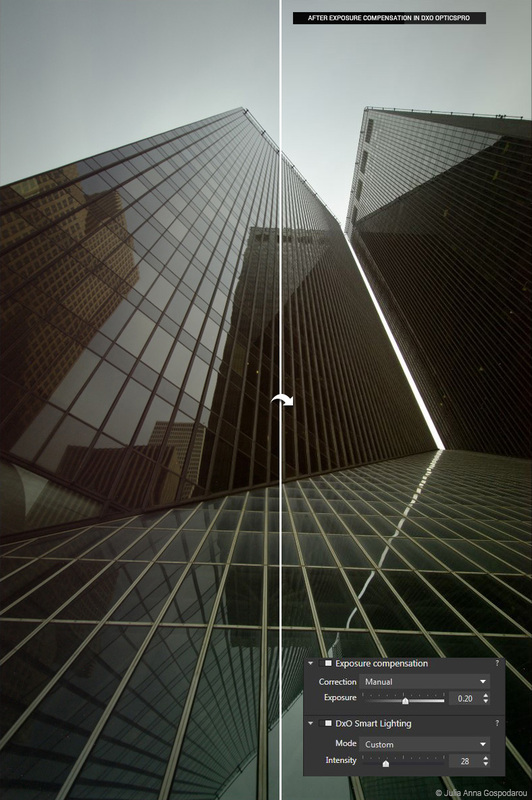 For further information about the key features of the DxO OpticsPro 10 workflow, including the many automatic processes that occur when launching the program and its many tools for correcting and exporting your images, read our dedicated tutorial. After this, I start to manually tweak the image to get to the results I want before exporting back to Adobe Photoshop Lightroom and, from there, to Adobe Photoshop. The very first adjustment I make is to work on the exposure, especially if the file is under or overexposed. In this case, the adjustment wasn’t big but in some other cases it can be more important depending on the initial captured image. Here I increased the exposure from 0 to 0.20, slightly brightening the image. Another feature I will use in the beginning, especially with underexposed images, is DxO Smart Lighting which will brighten the shadows while keeping the noise in logical limits. 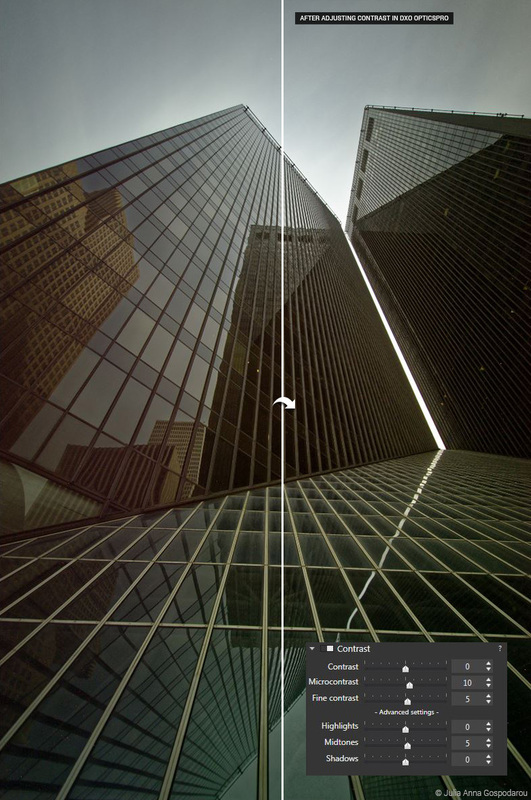 This is one of the best features of DxO OpticsPro and one of my favorites. Here I increased the DxO Smart lighting from 25 to 28. I needed to selectively brighten the midtones and the shadows, so the next step was to increase them slightly. 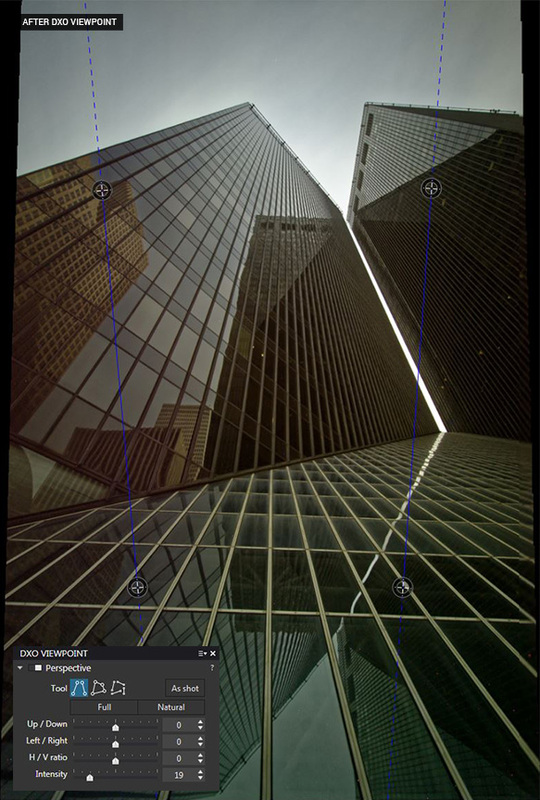 The next feature I always use is ClearView, which increases the clarity in my image. 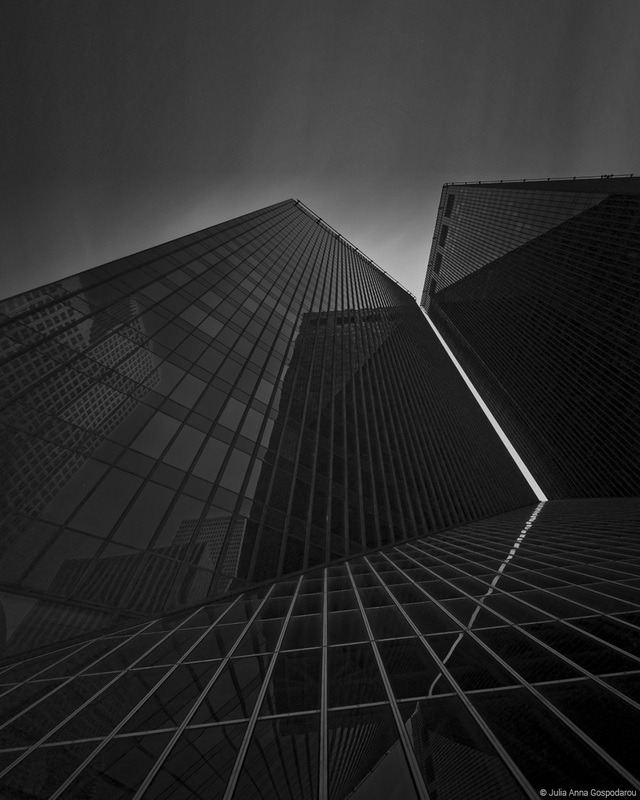 It is one of the best features to use in architectural photography, fine art or classical architectural photography, black and white or color images. 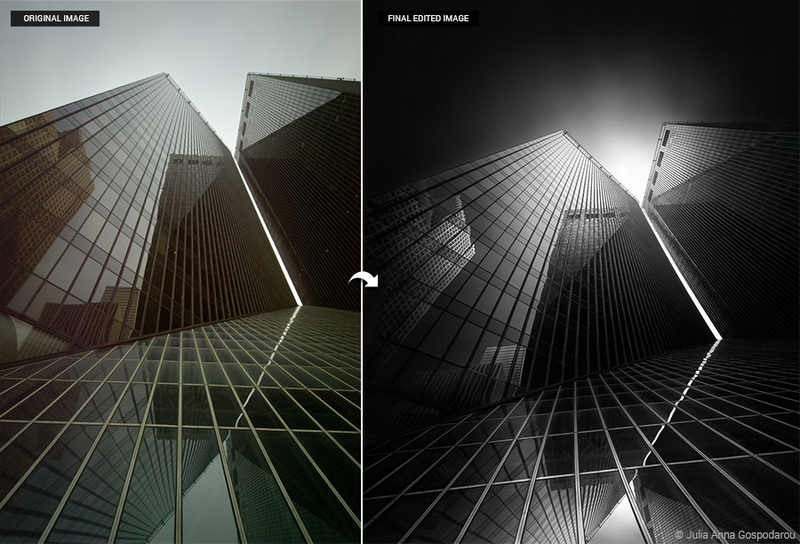 Together with ClearView, a tweak in the contrast can help the image be more punchy and sharp. 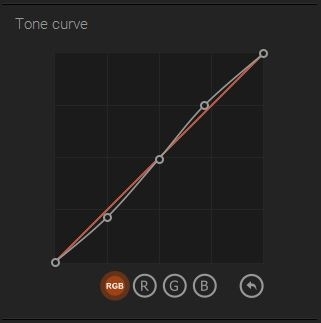 This is why I slightly increased the micro-contrast, fine contrast and the midtones contrast of the image. This specific image, just like most long exposure images, had a serious problem with noise. The noise already there was complicated further by the noise from the dark areas of the image that I just brightened, so in short, I had a lot of noise and dead pixels. Next I used the PRIME feature which is the highest quality denoising available in DxO OpticsPro. I also manually increased the values of denoising to the maximum, so the result is a better one and a cleaner image. PRIME will clean up dead pixels, but if any remain after denoising you can clean them up using the Dust tool. One feature that I prefer to use instead of sharpening is Lens Softness, which adds sharpness and clarity to the image based on the specific lens used. 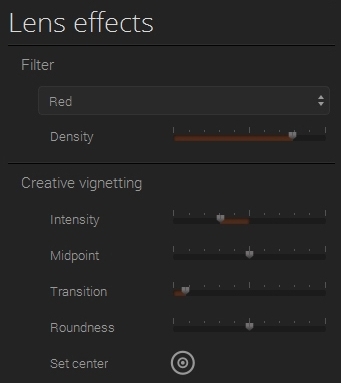 This provides a more natural result because the program works with real data to match the lens characteristics with the sensor characteristics. In this case I increased the Global value to 0.20, and the Detail to 56. Not a radical tweak but the results are visible, as the image is much sharper and clearer. 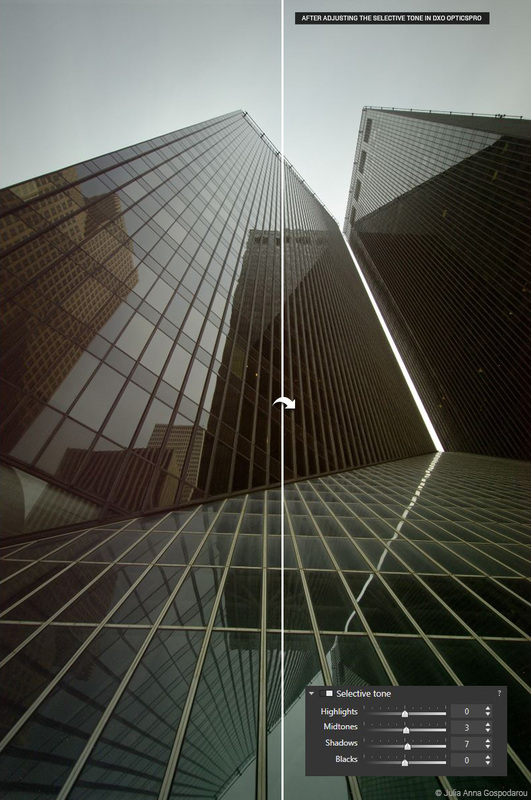 Chromatic aberration and fringing are two major issues photographers deal with when shooting with wide angle lenses and zooms, especially around the edges of the image. I shot this image with the Nikon 10-24mm f/3.5-4.5G which is one of the best wide angle lenses out there, but I still had to deal with these. In this case the automatic values DxO OpticsPro chose worked well and I only had to manually enable the Purple fringing correction. 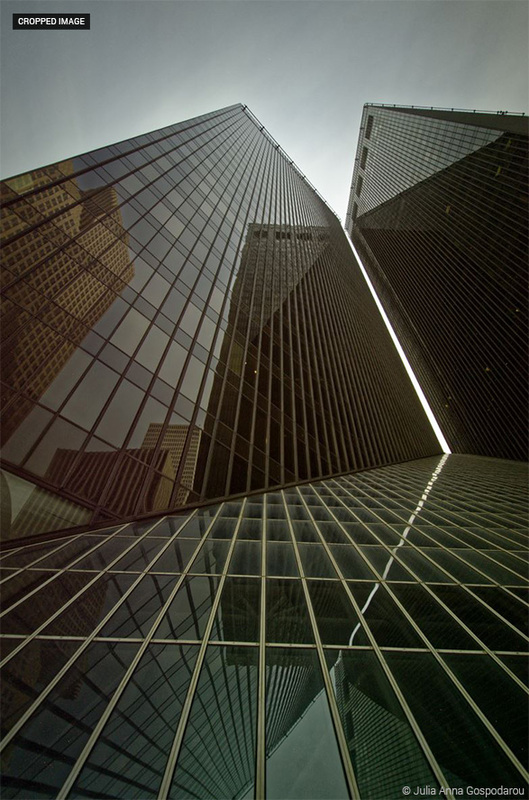 One of my favorites among the DxO tools as an architecture photographer is DxO Viewpoint. It is the only tool of this kind on the market, and I use it for straightening verticals, correcting geometric deformations and sometimes also to enhance my perspectives. I choose the intensity of the correction depending on the intensity of the change I want to make. In this case I used a relatively low intensity of 19 so the change is not very dramatic. After this step I export the image to Adobe Photoshop and work on it further. I focus on localized details and I process it selectively by converting it to black and white and enhancing the light and shadows. To export to Adobe Photoshop I first send the image as a 16bit TIFF file to Adobe Photoshop Lightroom and from there I open it in Adobe Photoshop and use the DxO software as plugins. 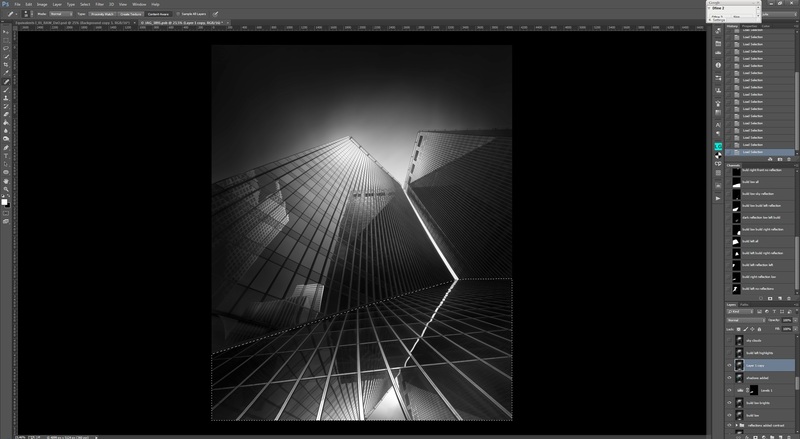 After correcting the image in Adobe Photoshop, I open the image in DxO FilmPack to convert it to black and white (the conversion can of course be done into DxO OpticsPro, using the DxO FilmPack tools as a plugin. I simply like the DxO FilmPack interface) and create the base for my further processing. In the case of this image I also modified the proportions slightly before converting to black and white to create a composition that is closer to my vision. 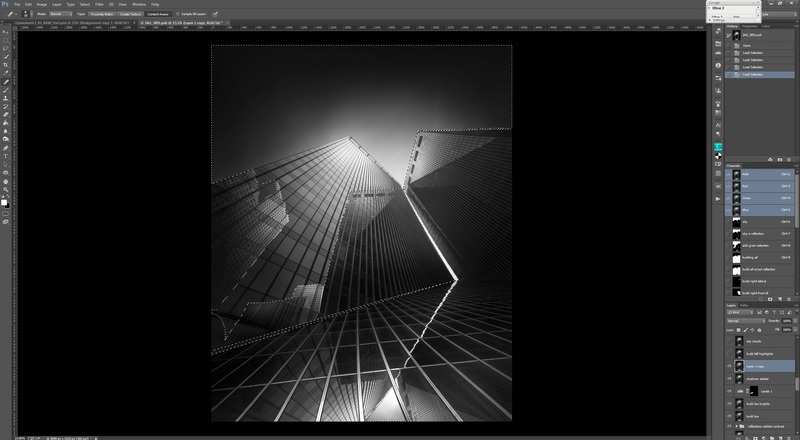 After opening the image in DxO FilmPack the first thing I did was to apply the Dark City preset, a black and white preset I created for DxO FilmPack that you can find when purchasing the DxO FilmPack together with the other presets in the series. 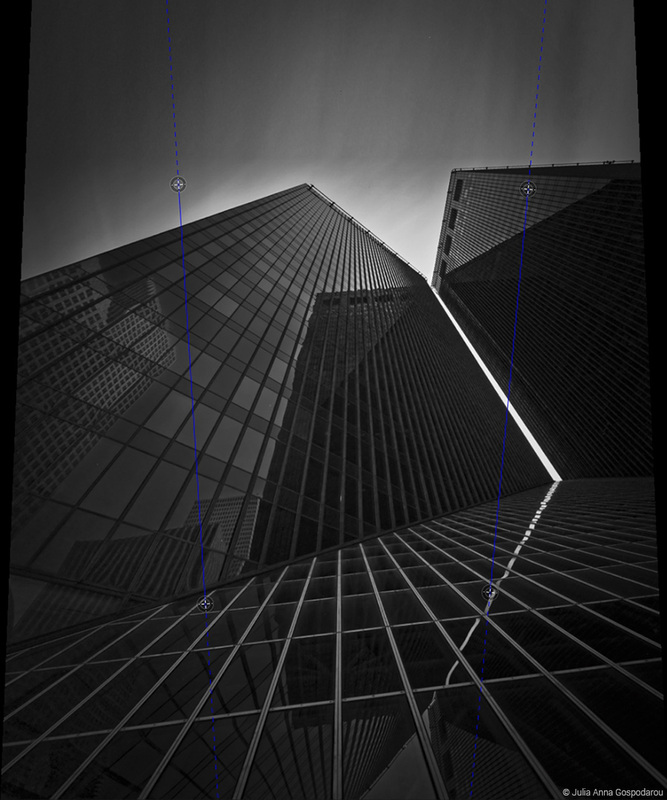 The series is called “Dark City” and it shows a few of my favorite ways of conversion using DxO FilmPack – not only black and white but also color. When I plan on taking the image back into Adobe Photoshop after the DxO FilmPack step, I try to make as many adjustments as I need in DxO FilmPack so that I get closer to the final image I have in mind. I can handle the details in Adobe Photoshop, where I have more control over each area of the image. I make the modifications to my Dark City base preset, starting with the Film characteristics. Next step is to work on the development settings. I generally do not use the Graphical effects features in my work, but they can be useful in some cases. After that, I used a quite strong red filter in this image to intensify the sky and darken it, as well as to create more contrast. Also I have added a slight vignette to increase the dark tones on the edges. 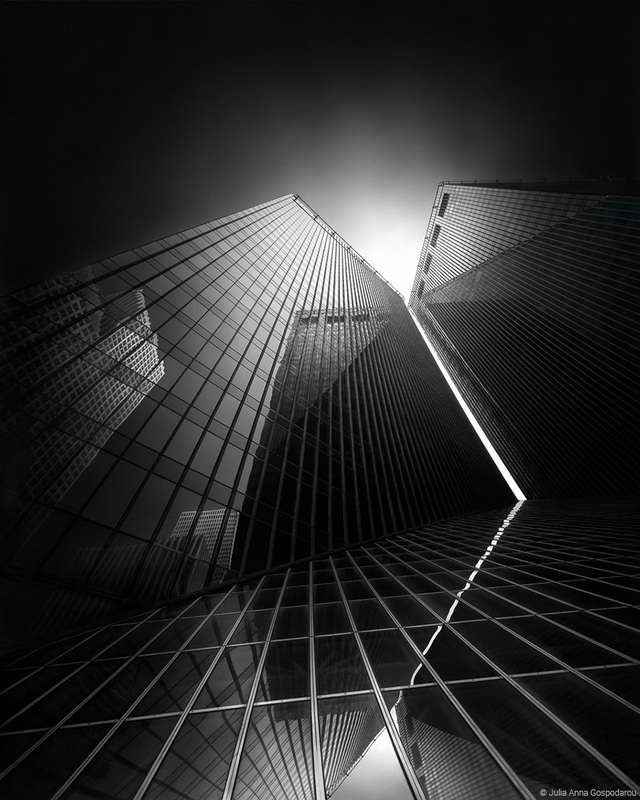 I do not usually add blur to my fine art architectural images, so the Blur value will remain at 0. 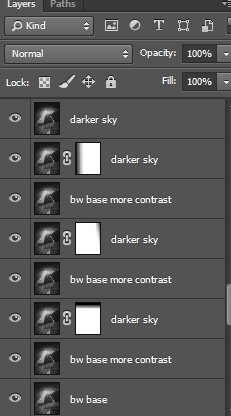 After all these steps, I save everything and export back to Photoshop. At this stage I sometimes go back to DxO ViewPoint to tweak the perspective more. 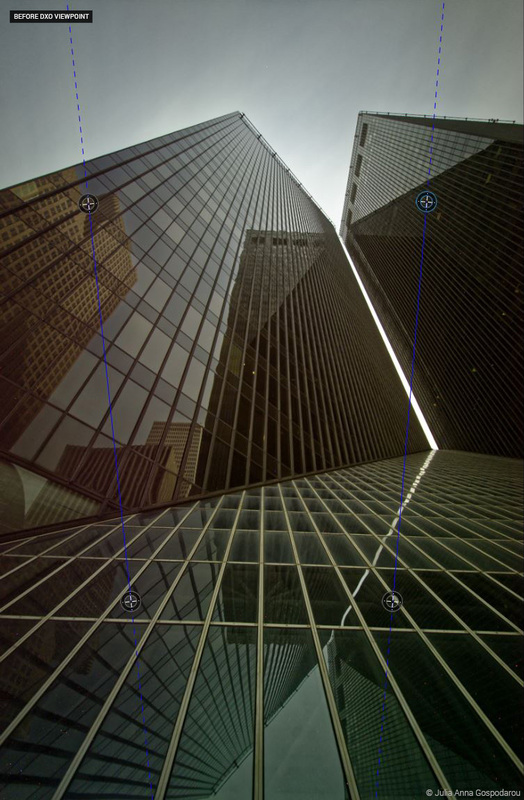 Depending on the kind of image I’m working on, I’ll straighten the verticals or tweak the angle of the converging edges of the shapes in my image. The next steps in Adobe Photoshop consist in enhancing the result I have from the initial black and white conversion of my image and I do this by working on my image as if I was working on a canvas or paper and I would “draw” the light and shadow using dodge and burn, brushes, gradients etc. The way I use these tools is to apply the effects selectively on different surfaces of the shapes I show in my image and treat them depending on how the light interacts with them. One of the most important things to have in mind when you apply Photography Drawing (PhtD) is to work on each surface separately. This can be done by using selections to define the surfaces you work on. You can see here examples of the selections I made for this image, and the Channel panel showing some of the selections as they are saved as channels. 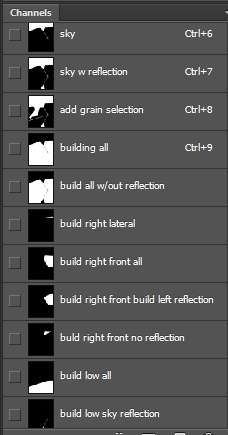 Another important thing to keep in mind when working with Photography Drawing is to use layers when you process the image so you work non-destructively on your image and can retrieve previous states of your processing if you need them. And this is the final result. Something I always strive in my work is to perfect the details of my images. I spend more than half the time creating the most perfect image possible and in conveying my vision in the most accurate way. No pixel in my portfolio images are left to chance and everything you see in my work has a reason to exist. This is how I tell a story and create my (en)Visionography. This is why I need the best editing software I can get. DxO gives me top quality and ease of use, and these are the reasons I love to work with it. For a detailed presentation of the PhtD (Photography Drawing ) method, both theoretical and practical, consult Julia Anna’s book From Basics to Fine Art – Black and White Photography, written with co-author Joel Tjintjelaar. 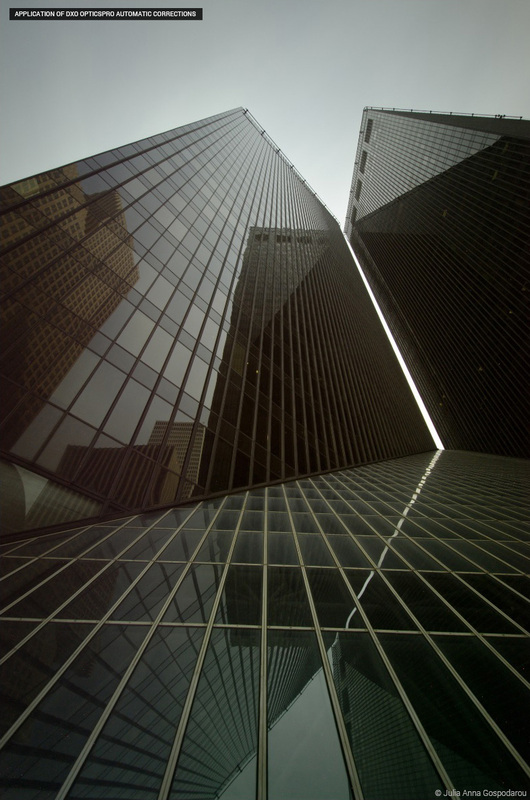 Take a closer look at Julia Anna Gospodarou’s photography work in her gallery.